– The Rocky Mountains – a major mountain range in western North America, a.k.a the Rockies. They stretch as long as 3000 miles, from British Columbia down to New Mexico. 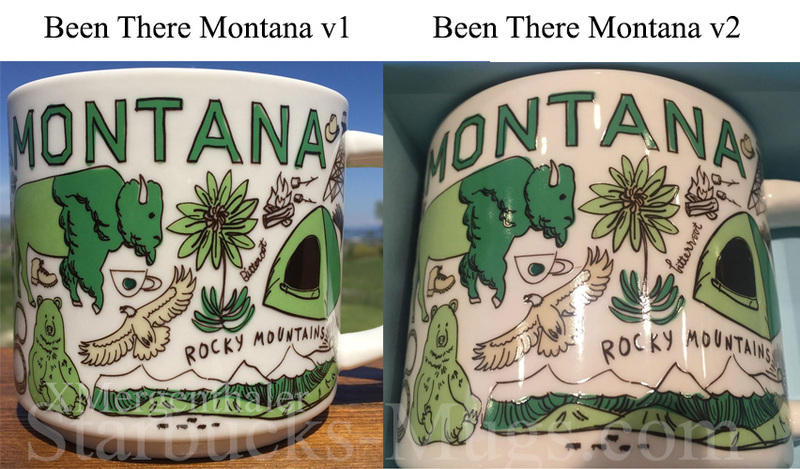 The second, fixed version of recently revealed mug, Starbucks Been There Montana 2 is out! As a reminder, the misprint was on the front of the mug. It is now saying “Bitterroot” instead of “Bitteroot”. We can only guess how many mugs with error were produced, and what’s more important, how many were sold. 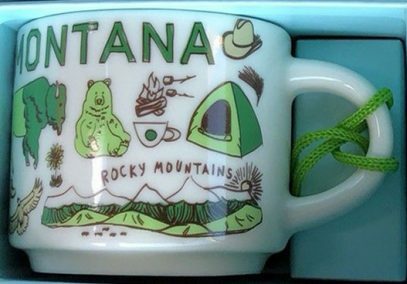 Update from 2018-05-19: please see side-by-side comparison of the front of the mugs, where the misprint is (missing ‘r’ in the Bitterroot word). 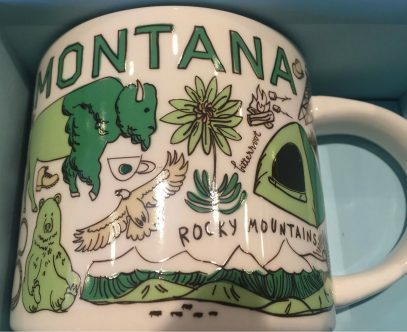 Another Starbucks Been There Mug – Montana. 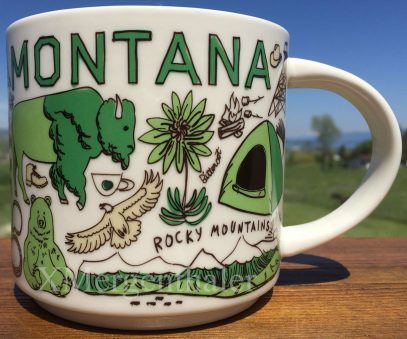 This is only the back of the mug and it’s too early to identify elements of the design, but it’s clear that it will be dedicated to wonders of nature and wildlife, which Montana is famous of. Will just mention Flathead Lake – one of the largest natural freshwater lakes by surface area in US. Stay tuned, better pics are yet to come.